Arsenal have confirmed that goalkeeper Petr Cech will face up to a month away from training following a hamstring injury against Watford. Unai Emery has confirmed that Petr Cech will be out for 3-4 weeks after suffering an injury against Watford. The Arsenal shot-stopper is expected to return to full training after his spell on the side line, as his injury was confirmed as a left-hamstring concern. The former Czech Republic ‘keeper went to ground just before the half time whistle during last weekend’s game against the Hornets, and was taken off for treatment immediately. Prior to his injury, Cech had been displaying some strong performances, playing a vital part in Arsenal’s ongoing unbeaten streak. Cech earned his first clean sheet of the season a few weeks ago against Everton, in which he was voted man of the match for his experienced performance between the posts. With his time out of action adding up to nearly a month, fans will be anxious as to whether he will be fit in time for Arsenal’s clash with Liverpool in early November. Whilst the visit from Liverpool will be the game on everyone’s mind regarding Cech’s fitness, other games prior to the showdown will prove crucial to Arsenal season. 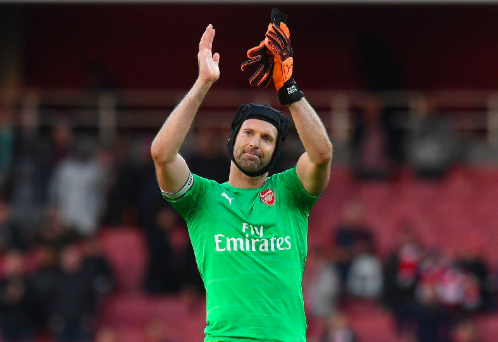 Cech will be expected to miss Arsenal’s league trips to Fulham and Crystal Palace, as well as a visit from Leicester City in a fixture which is never easy. Whilst their number one’s injury comes as a shame, Arsenal can’t be too down about the news. Summer signing Bernd Leno is on hand to step in for Cech whilst he recovers, putting in a good shift as he replaced his teammate following the injury last Saturday. Speaking after the game, Leno admitted that despite being disappointed for Cech, his time out of the squad will be a ‘big chance’ for the German to show Emery his quality. It’ll be a big test for Leno to fill in during Cech’s absence, with the expectation to keep Arsenal’s form going.